Thanks to the Nordic economic model, the Scandinavians are now among the most equal countries in the world. They are also known for shared prosperity, even though only Norway found oil. A century ago they had a huge wealth gap, only a pretend democracy, and poverty that drove large numbers to leave their countries. How Denmark, Iceland, Norway and Sweden turned themselves around is the subject of George Lakey’s new book, “Viking Economics: How the Scandinavians got it right and how we can, too,” released by Melville House July 2016. The book drew articles in Bloomberg.com, the Atlantic Monthly, and Time Magazine, while it was named “Book of the Week” by the London Times. Bill McKibben called it “Completely fascinating,” not least for Scandinavian achievements in meeting the climate crisis. Event will be followed by a signing. This is a free event, but you may order a copy of the book to be picked up at the event for $15 ($18.99 MSRP) All proceeds will go towards programming at the SCC. 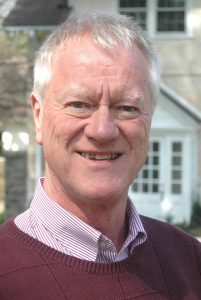 George Lakey, 79, recently retired from Swarthmore College. While a professor there he wrote Viking Economics after interviewing economists and others in the Nordic countries. As a young adult he lived in Norway and worked there as well as in Denmark and Sweden. On returning to the U.S. he alternated academic positions with founding and leading social change organizations. He’s led over 1500 social change workshops on five continents. He received the Martin Luther King, Jr., Peace Award and the National Giraffe Award for Sticking his Neck out for the Common Good.